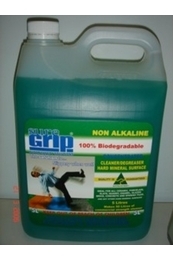 Non-slip floor cleaner is essential for buildings with a large amount of foot traffic. Our quality non-slip floor cleaner ensures your floors are kept sparkling clean yet guarantee they won’t be slippery and cause accidents. 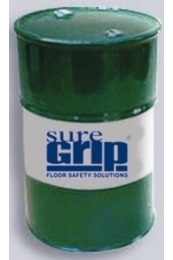 Non-slip floor cleaner is perfect for high traffic areas where people are moving quickly, such as hospitals, cafeterias, retail stores, hotels, common areas, and conference centres. Our non-slip floor cleaner is used and applied the same way as other floor cleaners and doesn’t need any fancy steps or procedures to work. This daily cleaner and degreaser is the perfect addition to non-slip treated floors and works best when used as part of a regular floor cleaning program. It leaves the floor residue free and clean, removing soil, grease, and other contaminants from deep within the surface pores – all leading to increased traction! Our floor cleaner is biodegradable, perfect for business who worry about their environmental footprint. We strive to maintain high levels of quality service and aim to keep your floors safe and clean. Contact us today to inquire about which regular floor maintenance program will suit your non-slip floor, or simply to discuss our non-slip floor cleaning products.